Decorations for dorms are the dorm supplies that make your room your room. If you think about it, there are certain dorm essentials that every student will need, from an extra long twin comforter for college to a good pair of shower flip flops for college. Yet when it comes to decorating your dorm room, here's where you can really bring out your individuality. 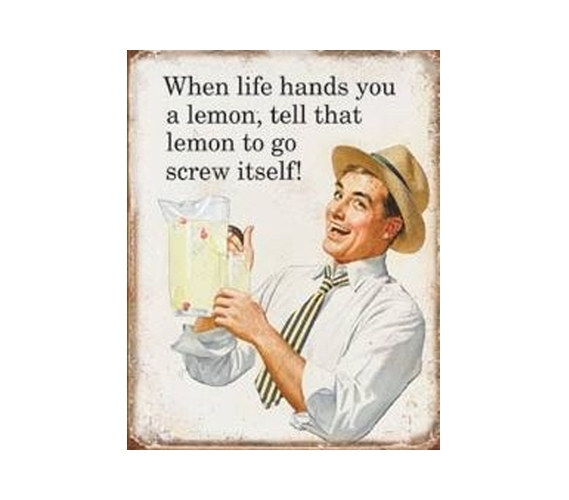 This Life And Lemons Tin Sign will add plenty of humor to college life, as that's always a nice bonus feature of some cool dorm items. Plus, if your wall decor for dorms can make you laugh, then it's an even better bonus feature of a staple college supply.